Liquid cooled generators deliver a step up in performance compared to air-cooled generators. While air-cooled generators perform well, our experience has proven the premium performance advantages of a liquid cooled generator far outweigh the step up in cost. Because liquid-cooled generators use a low-speed engine, running typically at only 1800 rpm, they’re so quiet you’ll forget you own a generator until it’s needed. Because they run at lower speeds, components last longer as well. Liquid-cooled generators are ideal for medium to large residential and small to medium most commercial applications. 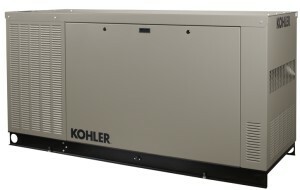 Whether you pick air cooled or liquid cooled, a standby generator takes the worry out of power outages.